We customize every business plan to include your unique aspects of your business. Our Schloemer Business small business plans will stand out from your competition to capture investors or financial lenders to review them. Don’t settle for a second rate business plan with many companies who simply plug in your information into a template. Investors and financial institutions quickly spot the “cookie cutter” plans as insufficient. You want a professionally designed business plan that reflects your business in the best way possible. 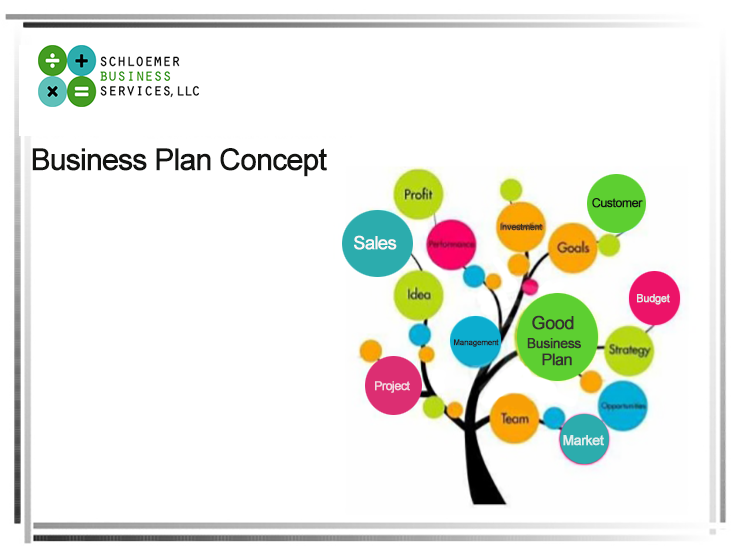 With Schloemer Business Services, LLC, you can be confident you are receiving a fully­ customized business plan that will showcase your business model efficiently. When you hire Schloemer Business Services, LLC – We will schedule a telephone or in person consultation to gather the details of you, your company and goals. We will gather all the necessary information from you regarding business collateral such as assets and begin to compose your business plan. How long will it take to write my small business plan? The estimated time frame for a typical project is three to four weeks from our initial session. However, in some cases, we can complete a draft of your small business plan in two weeks. Without the proper research, your business plan fails. Research is the key component to your business concept when presenting your business plan to achieve funding. At Schloemer Business Services, LLC we utilize tools and resources to gather critical data to include in your small business plan. 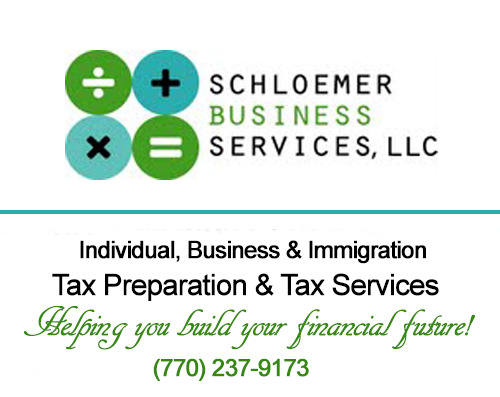 Schloemer Business Services, LLC, an Atlanta based tax preparation and bookkeeping services company works with clients virtually across the United States and around the world. We appreciate your trust in our bookkeeping and tax preparation services. When you refer clients to us, you are expressing your faith and confidence in us. If you have friends or business owners who need professional bookkeeping services, professional tax assistance or immigration tax services, we appreciate your referral. You can be assured that their bookkeeping and tax preparation needs and business services are completely confidential.